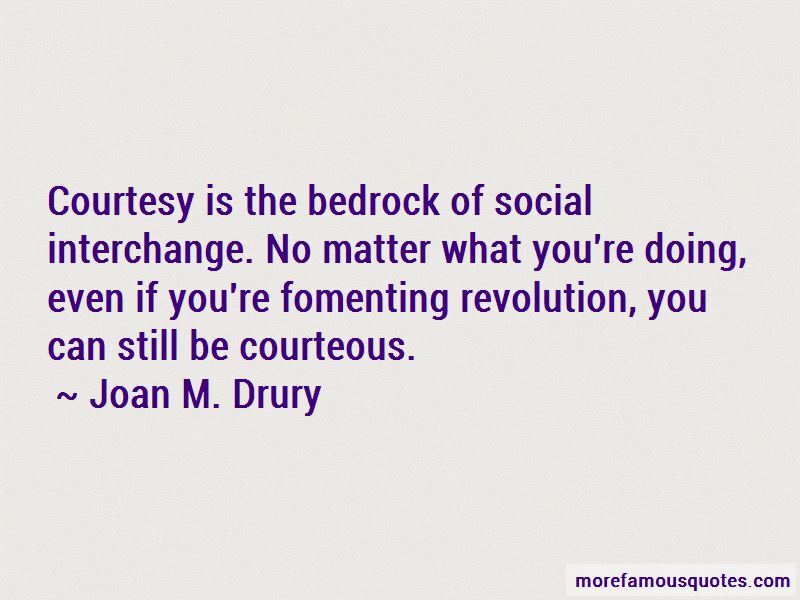 Enjoy the top 4 famous quotes, sayings and quotations by Joan M. Drury. 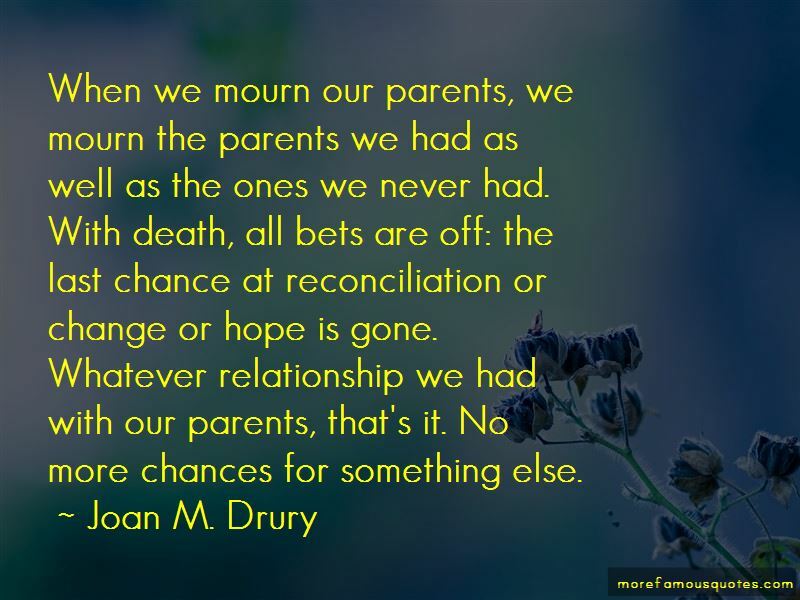 When we mourn our parents, we mourn the parents we had as well as the ones we never had. With death, all bets are off: the last chance at reconciliation or change or hope is gone. Whatever relationship we had with our parents, that's it. No more chances for something else. 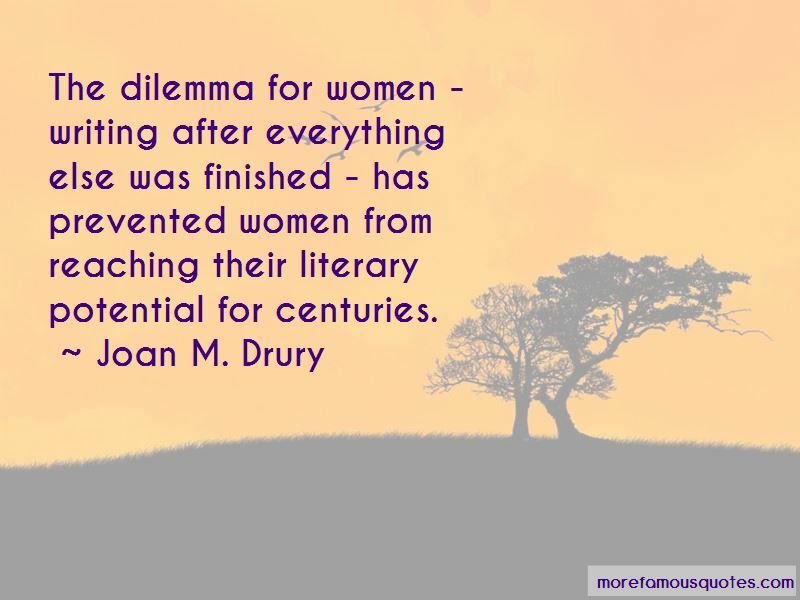 Want to see more pictures of Joan M. Drury quotes? 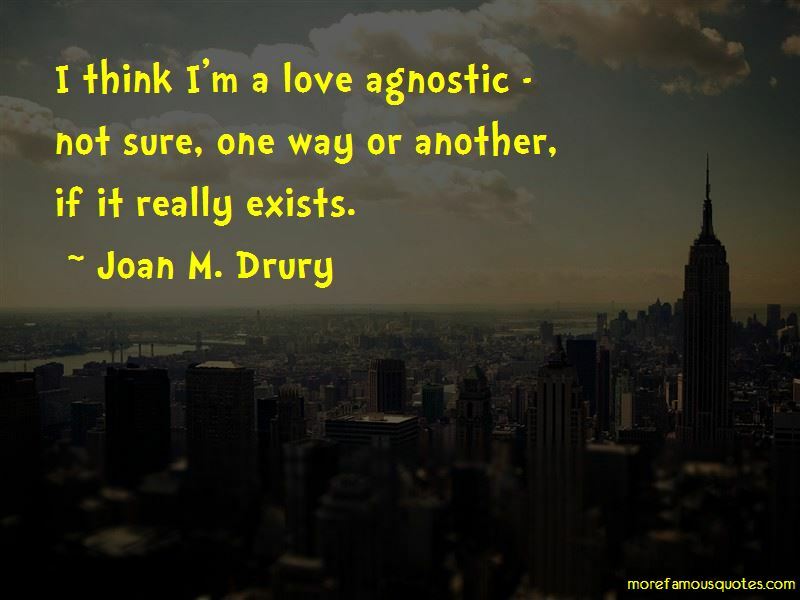 Click on image of Joan M. Drury quotes to view full size.